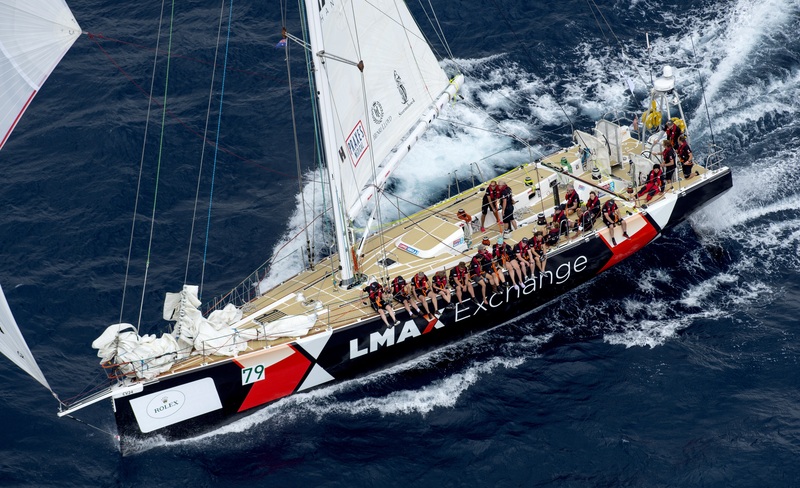 The time is here, we’ve recapped eleven team highlights so today we celebrate the Clipper 2015-16 Race winners - LMAX Exchange. Led by our first ever French Skipper Olivier Cardin, the team achieved a staggering ten podium finishes which included six race wins and four third places. It also scored 15 Scoring Gate bonus points, more than any other, and two Ocean Sprint points. 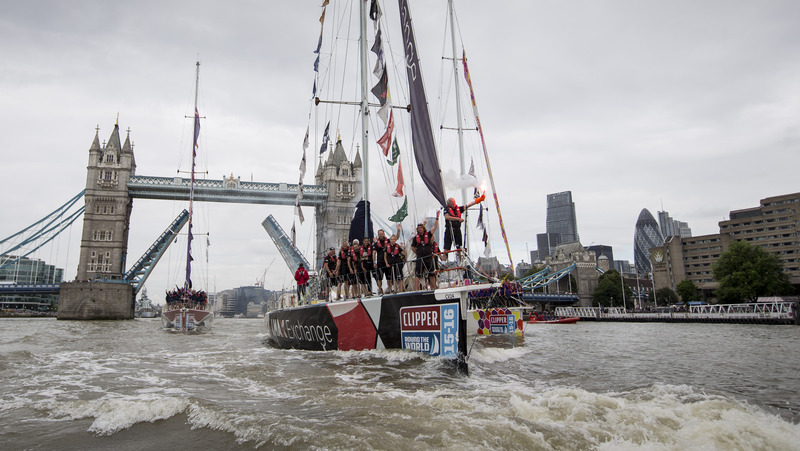 Before the race even got underway, LMAX Exchange became the first team to hit its £20,000 fundraising target for official Clipper Race charity Unicef, and by the end of the race it had reached over £34,500, with over £27,000 alone raised by crew member Esha Mehta. LMAX Exchange’s rock star standard was set from the start when The Who’s Roger Daltrey, a friend of crew member Gary Colt, got on board the yacht in Gosport along with youths from the Teenage Cancer Trust, which he is a patron of, and met some of the crew. Perhaps channelling inspiration from the band’s hits such as ‘One at a Time’ or “Call Me Lightening”, LMAX Exchange won the opening race from London to Rio de Janeiro in convincing style. Some 24 hours ahead of second place Qingdao, after leading for over half of the 26 days at sea, the team also picked up three points in the Scoring Gate to make a strong impact on the leaderboard. Speaking on behalf of his team after they enjoyed a Brazilian style welcome with shots of cachaça and a local Samba band, Skipper Olivier said: “We led the race for the past two weeks and I’m really proud of the team effort. I’m very confident in my crew who did a great job. A well-documented incident involving a beach and a delayed start to Race 2 to Cape Town resulted in a sudden drop in form as the team finished tenth on elapsed time however this was soon put behind them as they were back firing on all cylinders in Race 3 to Albany, and Race 4 to Sydney, recording two back to back race victories and stamping itself back at the top of the overall leaderboard. For the Rolex Sydney Hobart Yacht Race the crew were joined by LMAX Exchange CEO David Mercer, the team’s ever supportive sponsor who often met them in the various stopover ports along the route and who welcomed the entire crew into the LMAX Exchange global ‘family’. Never afraid of a challenge David had recently been part of a team of rugby players who set a Guinness World Record for playing the Northernmost game of rugby ever at the North Pole, but this would be his first experience sailing an ocean. During the race, in which the team came third, David wrote this descriptive blog on what it was like to observe Skipper Olivier, who he renamed during his experience as the ‘majestic ocean cat’, at work. “Like a big cat eyeing his prey the French magician prowls the boat. A shake of his mane, a flare of the nostrils, an immediate spin of 180 degrees, two twitches of his neck left and right.“He studies and searches and peers out to the horizon. A sharp look back and a glare at his tellytubby red suited crew, a flail of his arm “get high, get forward, now”. We shuffle off and still he prowls. A sudden feline pounce down to the pedestal, a quarter turn on the staysail, his eyes flick up and down the line of the sail, a loosening of the Yankee, maybe three inches of adjustment. He purveys everything …. Again a nostril shiver. He stands, shoulders back, a proud figure of oceanic majesty. “There is the wind…. Looook." “He’s lost the plot. There is barely a ripple on the dark misty blue sea. Time for the cat to crawl into his basket for a few hours rest we think. “10 minutes” he utters with a wide eyed look of a lion possessed. “And there it is; the black line in the horizon. By jove he’s good this fella. “Get ready, keep the couuuuurse”. And then as if by magic with only a one minute misjudgement the sails fill and LMAX Exchange gets a kickstart, like the end of an M25 traffic jam without warning. We’re gliding again, we’re back in the game. As mentioned in GREAT Britain’s highlights last week, one of LMAX Exchange’s narrowest victory came during the next race, into Airlie Beach, when the team swapped the lead back and forth in the final days and ended up claiming the win by just 42 seconds on its rival. Circumnavigator Stephen O'Connor, described the tension on board during the final 100 nautical mile drag race between the two teams, saying: "We were watching everything that GREAT Britain was doing; if they were tacking, gybing; we're looking at their speed, their COG, their Speed Over Ground, we're looking at everything about them and I'm sure they are looking at us. We were gleaning this information every two to three minutes to get an idea of how they are progressing. If they are catching up on us then we are looking to adjust our sail strategy to compensate for incursions they make into our ground. Luckily for us that managed to hold us in good stead. It was crazy tough but well done to our rivals for making it such a challenge for us." 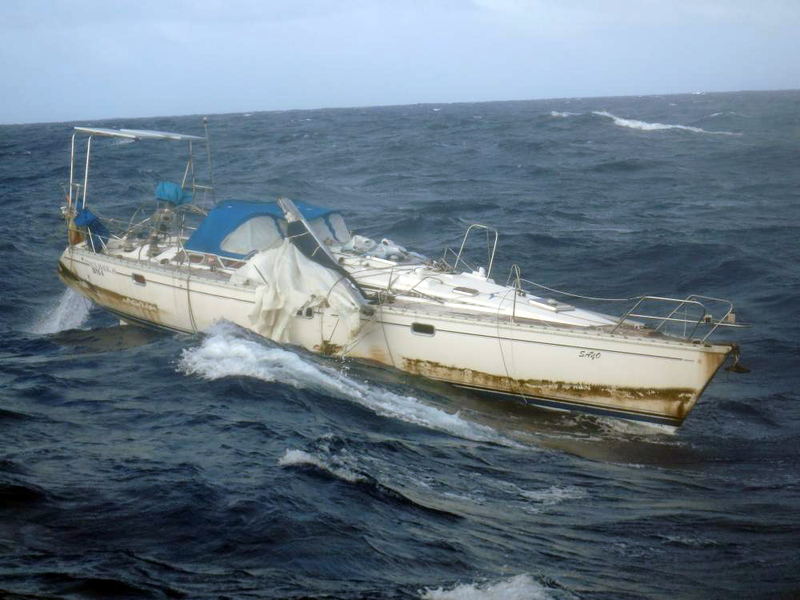 Then during Race 7 on the the way from Airlie Beach to Da Nang, Vietnam, the LMAX Exchange crew stopped racing temporarily to explore an abandoned yacht they had come across in their path. Crew member Pascal Caussil swam aboard where he unfortunately found a lone, deceased male. We chose not to release detail on the tragic discovery to avoid unnecessary distress however Skipper Olivier and Race Director Justin Taylor notified the correct people at the US Coast Guard, as the boat was found in Guam’s waters, and the German Embassy as they found corresponding registration details of the boat, so they could start the investigation into his identity. Little did we or the crew know that images of the rather mummified sailor would be broadcasted by newspapers and media outlets all around the world in gruesome detail just over a month later after he was re-discovered by Philippine fishermen. Writing to us from the boat at the time they discovered the abandoned yacht, crew member Adrian Roberts told us the finding was a poignant and sobering reminder for all on board the competitive team, that the priority and absolute focus of winning a race takes an automatic and immediate back seat when faced with a situation like that. LMAX Exchange was on the podium again in Race 8 to Qingdao, China and Race 9 to Seattle, USA, taking third spot in both but unsatisfied unless they were tasting gold, Skipper Olivier refused to take their eye off the overall prize. The team was back on the top of the podium into Panama after scrapping it out with ClipperTelemed+ in the final stages, and there were just metres between the two teams after 20 days racing from Seattle along the southern US and Mexican coast line through sweltering heat and wind holes. It was no easy victory, as many Clipper Race crew will attest, the race from Seattle to Panama tested the crew in many extreme ways. In extracts of her final blog of the race, crew member Lizzie Mercer explained: “Sometimes the highs come thick and fast - a great watch that sees you gain on competitors, a huge pod of jumping dolphins, beautiful sunsets and days of sunshine. The ebb and flow of this race for us, missing points at the Scoring Gate but then pulling ahead to meet the front-runners and ultimately winning has been one of the greatest rollercoasters, delivered in six-hourly instalments with each update. “But there are various lows to life on a racing yacht, many of which have been well documented in these blogs but to recap a few headlines: The HEAT (did we mention? ), life at an angle, the lack of proper shower or flushing loo, the news that we have lost pace or are stuck in a wind hole, bilges with water that jumps up to greet your face as you try to clean them, the 0330 wake up for the 0400 til 0800 watch, something that none of us can seem to adjust to, even round the worlders. “However these daily hardships are ones that we all share and in that lies one of the biggest highs, which is the sense of community and teamwork on board. We are, quite literally, all in the same boat so anything you go through, another person is too. It's amazing how funny dripping with sweat and cleaning the heads can be when there are two of you to share in the anti-glamour of the moment. An off-watch of no sleep and the thought of a long, tired shift ahead can be forgotten about when you go to breakfast and everyone is sitting around, laughing and chatting, and singing the egg song of course. There were no podium celebrations for LMAX Exchange in Race 11 from Panama to New York but after lots of flat, windless, hot sailing, Tropical Storm Colin came along to make things a bit more interesting. 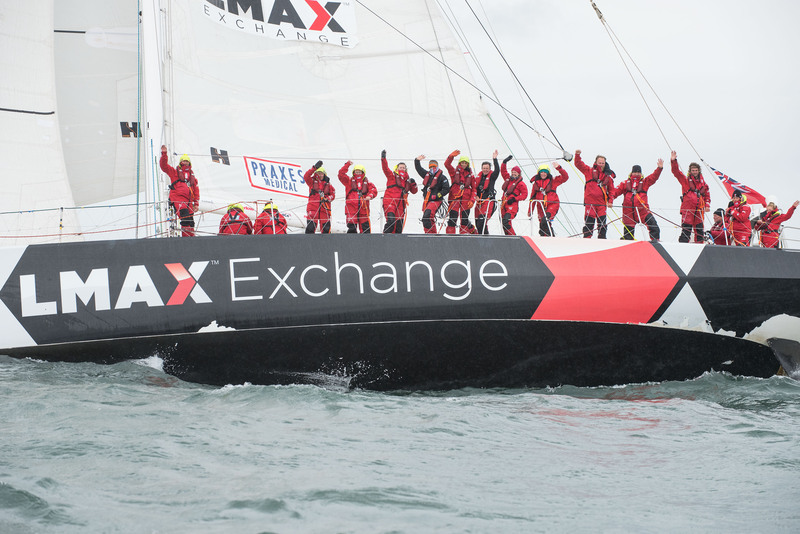 LMAX Exchange’s sixth and final race win came into Derry-Londonderry in Race 12 after crossing the Atlantic for the third time and returning to British waters. The win came whilst rounding Rathlin Island after duelling together for the final two days. In a nail-biting conclusion, LMAX Exchange found the stronger winds approaching the Greencastle finish line and crossed just 5NM ahead of the home town team. Although a little heartbroken to see their team lose out on the win at the last moment, the people of Derry-Londonderry were as hospitable as ever to the winners as Clare MacAdam, 29, on board for Legs 7 and 8, said: “Everyone has been incredible and is so friendly. There is a little moment when we say what team we are on and they say, “Oh you beat us” and we apologise but we always laugh with them. Everyone has been so good about it. Obviously Derry~Londonderry~Doire is the favourite boat here but the people are making all of us feel special. 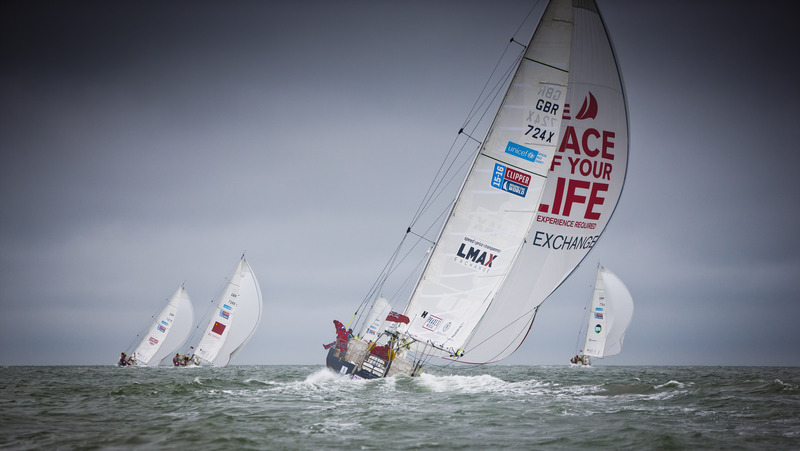 LMAX Exchange only managed fifth place in the penultimate race into Den Helder but with Derry~Londonderry~Doire only one point ahead in fourth, the margin was not changed much. LMAX Exchange was then penalised two penalty points for Race 12 sail damages, reducing the margin between the two teams to just seven points going into the final race. The pressure was on. Make a mistake and finish in the back of the fleet and the title could be lost at the last moment. 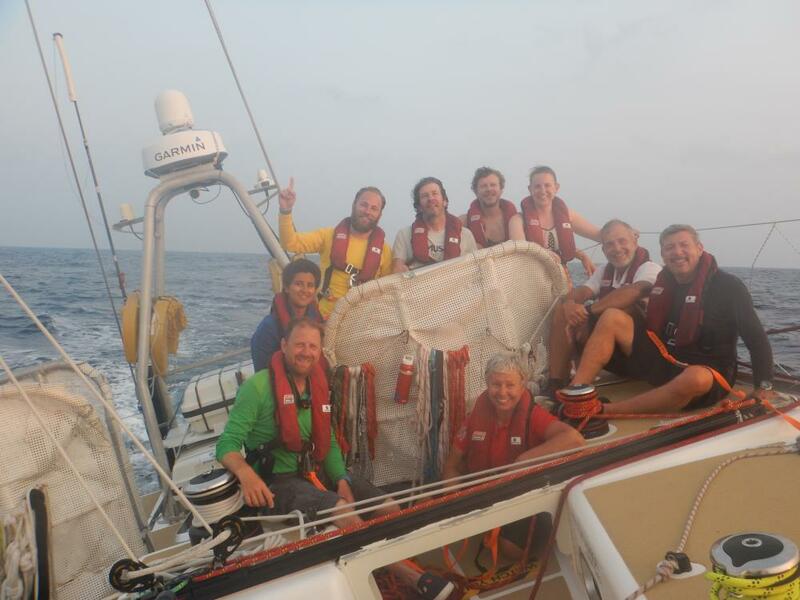 With all eyes on the final 36 hour sprint from Den Helder to London, Derry~Londonderry~Doire Skipper Dan Smith went all out to cause an upset, winning the final race and safe in the knowledge they had done all they could in their last effort. However LMAX Exchange also put in a strong, determined effort and took third place, and so won the Clipper 2015-16 Race by five points. Circumnavigator Dominque Hausser from Switzerland said: “A short, intense race and just an hour and a half of sleep had; the rest of the time being spent in the "nav station" to route the boat between all the obstacles on the course, such as oil and gas platforms, TSS, wind farms, various prohibited areas, but also in narrow channels between the sand banks that we have to borrow to reach the finish line. Thank you to Olivier Cardin and the crew of LMAX Exchange whose competitive drive was clear from the very start, focused day and night and second by second on winning the race, and still managed to smile and party hard along the way. HUGE CONGRATULATIONS once again to Adrian Gunn, Adrian Roberts, Albert Lagneaux, Ana Maria Estruch, Andy Bishop, Anthony Clifford, Axel Budde, Benjamin Simatos, Boris Dosseh, Brigitte San Quirce, Bruno Roussennac, Carlos Arimón, Cathy Lorho, Chris Miles, Christian Sager, Chris Talago, Clare Macadam, David Mercer, Dominique Hausser, Elizabeth Mercer, Esha Mehta, Francois Raux, Fred Dankers, Gabrielle Barthelemy, Gary Colt, Glenys Plant, Haude Morel, Helen Appelboam, Iain Grist, Isabelle Cornet, Jean-Maurice Favre, Jens Peters, Jonathan Byfield, Judy Hilton, Juliana Ericson, Junior Hoorelbeke, Karen Weston, Kristof Bostoen, Leo Meijaard, Marc Geffrault, Marine Prat, Mark Tunney, Nigel Cook, Olivier Thomas, Pascal Caussil, Paul Lee, Peter Watson, Philippe Mazon, Robert Tschiemer, Sarah Down, Stephanie Ockenden, Stephen O’Connor, Steven McDowall, Thomas Beattie, Thomas Loffet, Valerie Phakeovilay, Vanessa Jubenot, Vaughan Tansley. 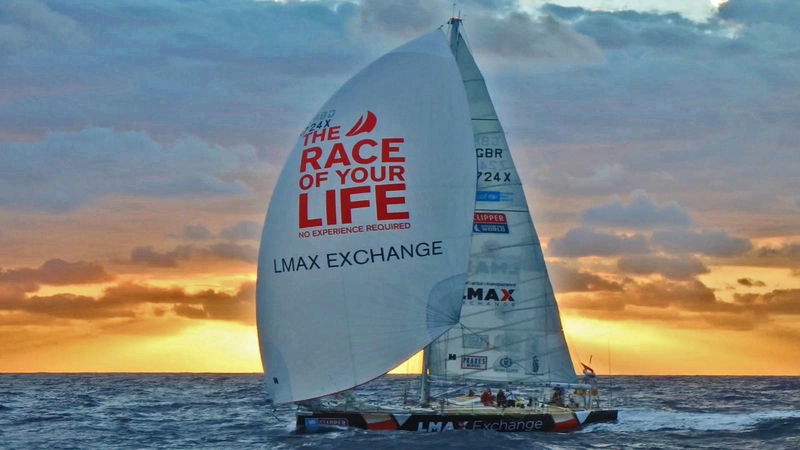 To read more about the LMAX Exchange crew’s experience in the Clipper 2015-16 Race click here to read the crew diaries sent back while they were racing.